"I had Callum Smith picked to win the Super Series as my Betfair bet of the year 2018 and nothing has changed, regardless of where the ring is set-up"
A date has finally been set for the most anticipated all-British showdown of the year - but it's a fixture that caught everyone off-guard. George Groves and Callum Smith will meet in the final of the World Boxing Super Series on September 28 at the - wait for it - King Abdullah Sports City, Saudi Arabia. As well as the Muhammad Ali Trophy, two respected super middleweight titles will also be on the line in Jeddah - the WBA super world and WBC Diamond. A set-up that would surely sell-out any major British sporting venue and that has left followers feeling frustrated. Organisers of the WBSS may have robbed domestic fans of a chance to attend a classic but there's no getting away from the fact Groves v Smith will be a thrilling decider and bout that'll pull in a worldwide television audience. I had Callum Smith picked to win the Super Series as my Betfair bet of the year 2018 and nothing has changed, regardless of where the ring is set-up. The 6ft 3inch powerhouse brings a perfect 24-fight record with 17 of his wins coming by way of knockout. Many keeping a close eye on the competition, myself included, expected him to meet Chris Eubank Jr in the last two. That wasn't to be, Groves scoring a comfortable points win over his countryman, but that has made the final even more exciting. 'Mundo' was last seen in competitive action beating Dutchman Nieky Holzken over 12 rounds in the semi-finals, returning a convincing 117-111, 118-110, 117-111 winner. That was the 28-year-old's second points verdict on the bounce having scalped Erik Skoglund the start before. Despite his form and unbeaten record, Betfair traders have Smith marked as a 11/10 second favourite to win the fight. That surprised me, and I'd say the same thing I did back in January - take it. 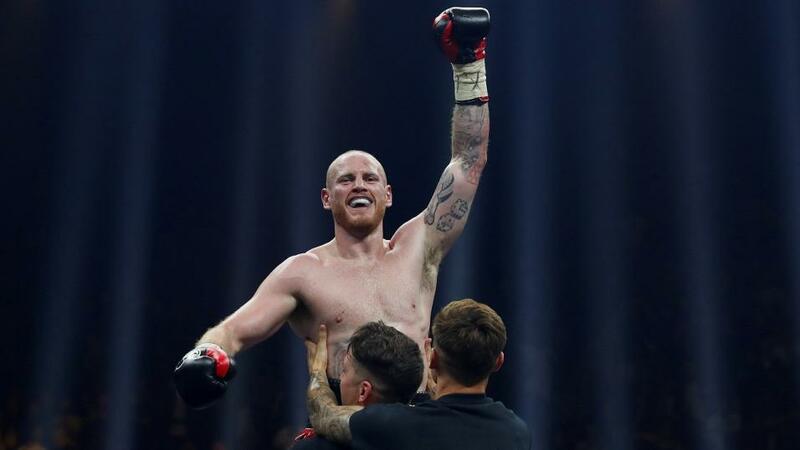 Take nothing away from George Groves who did what he does best back in February when upsetting the odds to defeat Eubank Jr. Few gave the 30-year-old Londoner a chance but he was never in trouble on a night that saw him rack up an impressive 117-112, 116-112, 115-113 tally. The only downside to that performance was it led to 'Saint' George suffering a shoulder injury that required surgery and caused this bout to be pushed back until September. His team are now confident the Hammersmith native is through the other end of his recovery and ready to take on what will be the biggest fight of his career. Groves is not without his critics in the game and that has followed him from the early stages of his career. He was written off against James DeGale and Eubank - he beat both men. He was out of his depth against Carl Froch, supposedly, but pushed The Cobra hard, even dropping him in the first of a famous double-header. Groves seems to thrive as the underdog, but now he's favourite will he have the same drive to prove the doubters wrong? Backers will find a George Groves win currently valued at 8/11 (Betfair Sportsbook).